Active adult communities in the Inland Empire area benefit from the region s beautiful Mediterranean climate, fine dining, eclectic shopping and exciting recreations. Some destinations in the Southern California area are more expensive than others, but active adults will be happy to learn about the reasonably-priced homes available in age-restricted communities in the Inland Empire area. California's Inland Empire is located between Orange County and the Palm Springs and Coachella Valley area. It is part of the Greater Los Angeles area and includes portions of Riverside and San Bernardino counties. Most age-restricted communities in the Inland Empire area are in the cities of Banning, Hemet, Apple Valley, Murrieta and Corona. The area also has the cities of San Bernardino, Riverside, and Ontario. With rolling hills, lush valleys, open deserts and mountain forests, residents of 55+ communities in the Inland Empire area enjoy a diverse region which appeals to many different active adult retirees. Active adult communities in the Inland Empire area are located directly east of Los Angeles. This area is also referred to as the Riverside-Bernardino Ontario metropolitan area. The Inland Empire area is bordered by the San Jose Hills from west to east and by the Santa Ana Mountains from north to south. Age-restricted communities in the Inland Empire area enjoy a wide range of elevations, from 11,499 feet at the top of the San Goronio Mountain to below 220 feet at the Salton Sea. The mountainous regions are generally cool to cold while the valleys tend to be very warm. Age-restricted communities in the Inland Empire area also enjoy the region s microclimates and diverse geography, which range from mountaintops to deserts to lakes. Active adult communities in the Inland Empire area are far enough away from the coast to avoid the fog from the ocean. Summer through early fall is typically very warm and dry while November through March is the wet season, when temperatures are generally cooler and the area experiences some mild rain. Age-restricted communities in the Inland Empire area enjoy the region s many opportunities for outdoor activities. Outdoor enthusiasts love the many opportunities for activities like hiking, camping, fishing, boating and horseback riding. One of the area s biggest attractions is Big Bear Lake, featuring over 100 miles of walking and biking trails. 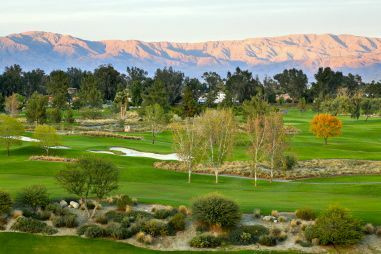 The Inland Empire also boasts a range of popular recreations like tennis, golf, shopping and wine tasting. Golf is particularly popular, and residents can choose from a wide variety of golf courses. Two of the area's oldest golf clubs include the exclusive Redlands Country Club and San Bernardino's Arrowhead Country Club. Cultural attractions in the Inland Empire area include live theater and musical performances. Residents can take in a show at the Victoria Mills Cultural Center or the San Manuel Amphitheater. Wine lovers will find countless number of vineyards in the Temecula Wine Country and Cucamonga Valley Wine Country. Age-restricted communities in the Inland Empire area also love proximity to the beautiful homes in the Redlands, featuring lush scenery and historic architecture. 55+ communities in the Inland Empire area enjoy a lower cost-of-living than their counterparts to the west and south, making it one of the most affordable regions in the Southern California region. Riverside is 17% cheaper than the rest of the state, although it s roughly 9% more expensive than the rest of the country. Comparable statistics are also true for Ontario. San Bernardino is actually less expensive than the rest of the country and nearly 25% less expensive than the rest of the state. The region is especially known for its low cost homes, often described as an extended suburb of Los Angeles, making active adult communities in the Inland Empire area very affordable. Taxes in California are unusually high, although homeowners can qualify for a property tax exemption if their primary residence is in the state. 55+ communities in the Inland Empire area benefit from a wide array of healthcare options. Loma Linda University Medical Center is nationally ranked in the field of urology and enjoys a high-performing rating in eleven specialties. The Kaiser Permanente Medical Centers in Riverside and Fontana are also renowned, claiming three and five specialties, respectively, while the Eisenhower Medical Center in Rancho Mirage is also known for its geriatric treatment. Active adult communities in the Inland Empire area enjoy an unmatched climate, relatively cheaper housing, and incredible amounts of recreational opportunities, making it a terrific retirement destination.